HP of the engine is approximate! Sails are new! Headsail furling is New! Occasionally, we are privileged to offer an exceptional opportunity and this is one. This blue water cruiser, offers someone looking for a vessel of fantastic proportion , an exciting project. This vessel with some light refurbishment would enable perhaps trans ocean passages and a travelling home that would be the envy of wherever she docks. Accessed from the rear of the cockpit the horseshoe shaped saloon berth is in the stern, exactly where it should be, with an inlaid saloon table seating ten and matching adjacent navigation table. Under this table is the BUKH maneuvering engine, in an insulated coffer. Go forward and the galley situated amidships and then right forward the double berthed master cabin. These boats have a deserved reputation for passage making, the doghouse is sleek and low and the cockpit is comfortable. The mast and rig towers over the deck powering her to windward. 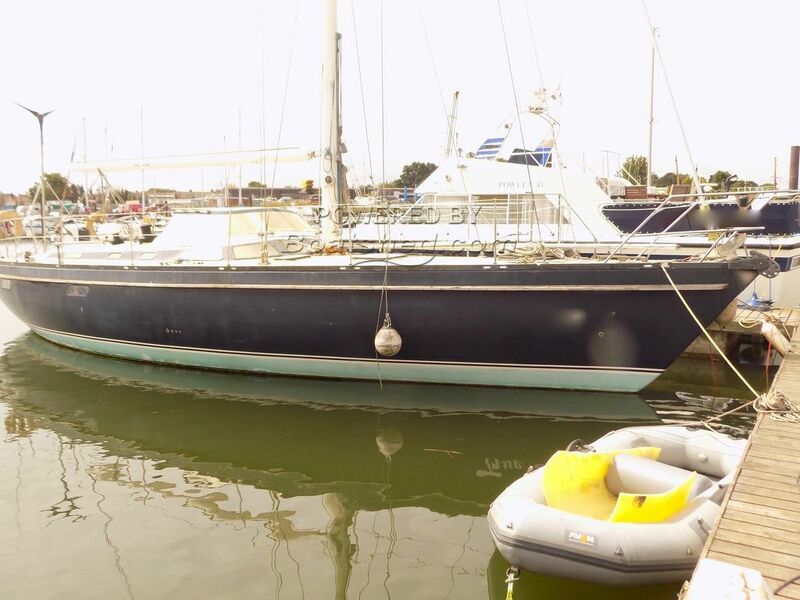 She is an exciting vessel and this is the yacht you would aspire too, costing hundreds of thousands of pounds originally and NOW look at the price tag..........unbelievable and she going to slip her berth really quickly so contact the broker before she does and the opportunity is gone. Beautiful and affordable! This Comet 14 14 has been personally photographed and viewed by Geoff Jaquest of Boatshed Suffolk. Click here for contact details.